The Volunteers of the Manila Cathedral-Basilica (MCB) had their Christmas Party on Monday, December 29, 2014 at Villa Immaculada. 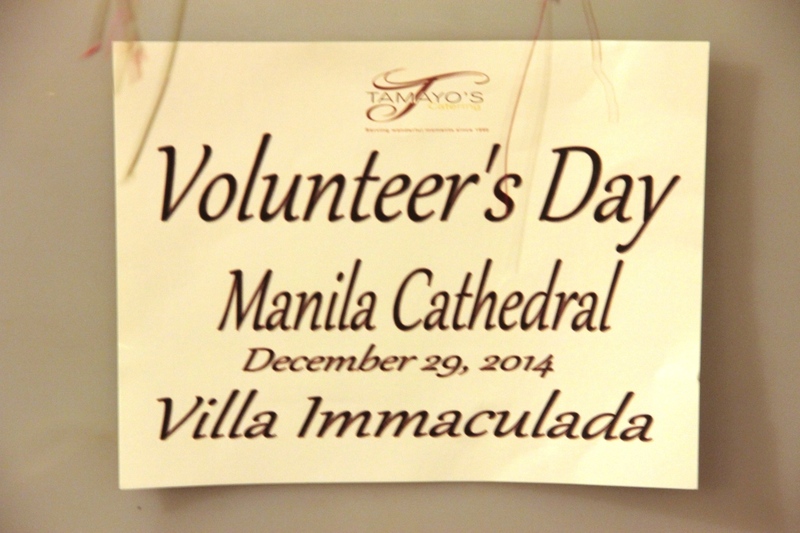 The Volunteers’ Christmas is also considered as the Manila Cathedral-Basilica Volunteers’ Day. It was usually held around the Feast of the Epiphany but this year it was held before the New Year because after the New Year, it would the thick and thin of the preparations for the Pastoral Visit of the Pope Francis. 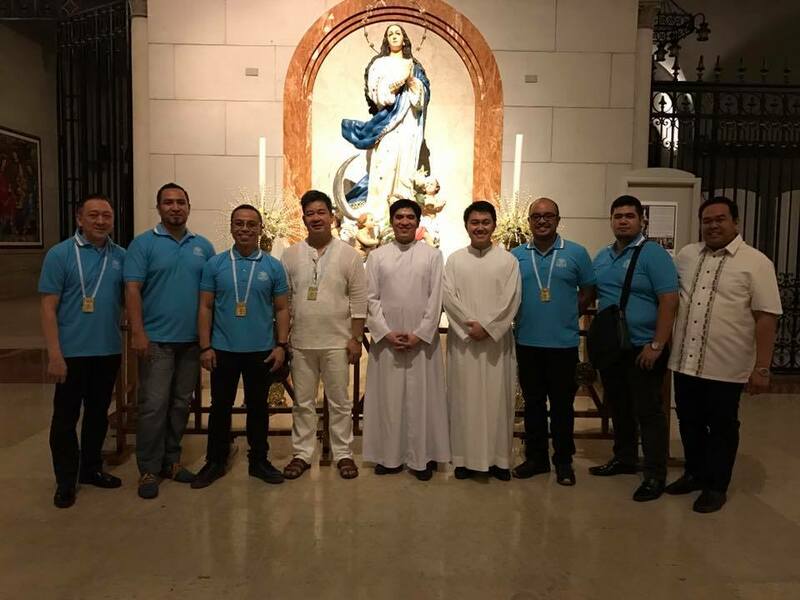 The MCB did not want to miss the occasion to show appreciation and gratitude to the sacrifices of the Volunteers in their faithful service to the Lord in the premier Church, premier Cathedral and premier Basilica of the Philippines. The Volunteer Groups that were represented during the Christmas Party were the following: Altar Servers c/o Mil; Extraordinary Ministers of Holy Communion c/o Alain; Lectors & Commentators-Sundays c/o Vlad; Lectors & Commentators-Weekdays c/o Sol; Greeters & Collectors-Sunday AM c/o Emma; Youth Greeters & Collectors-Sunday PM c/o Mannilyn; Greeters & Collectors-Weekdays c/o Nitz; Choir-Weekdays c/o Fely Caliao; Manila Cathedral-Basilica Choir c/o Ferdz Bautista; 8;30 A.M. Sunday Choir-Espiritus Domini c/o Arnold; Saturday Group. After dinner, the raffle was conducted. 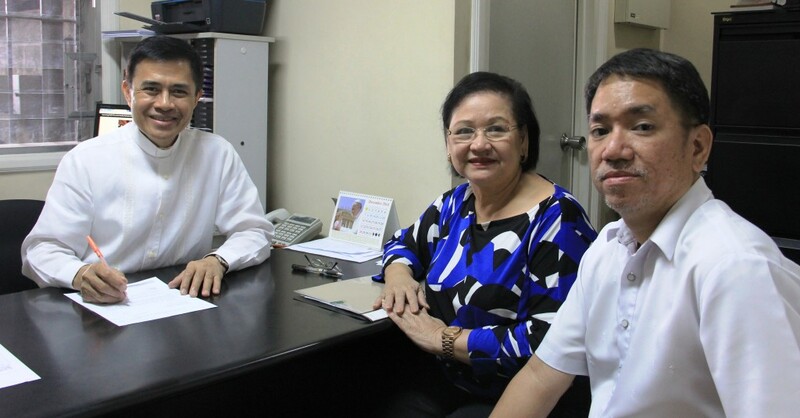 The MCB provided the prizes and the grand raffle prize was donated by Mr. Steve Tamayo and Family. Mr. Steve Tamayo and his son Christopher Tamayo rendered two lively intercessions during the raffle. The MCB and its Volunteers expressed thanks to Mr. Steve not only for providing the grand raffle prize but also for allowing Villa Immaculada as the Venue of the Christmas Party. The Emcee was Vlad Reyes and Sis. Mila Santiago, the Volunteers Council Head Coordinator, spearheaded in organizing the Christmas Party or the Volunteers’ Day.